Coaching is a dream fit for me. For as long as I can remember, I have had a knack for problem-solving and a passion for helping people. As a business owner, wife and mother, I know firsthand the many conflicting demands made upon us in our daily lives. My own journey of self-discovery and transformation to “coach” can be best described as “the long way around the lake,” but I wouldn’t have it any other way. 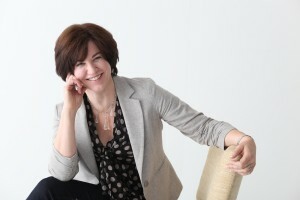 It is these unique experiences and rich insights that I bring to the table with each of my coaching clients. I launched my coaching practice in 2007, leveraging diverse work and life experiences to help my clients thrive personally and professionally. Parlaying over 20 years experience in the corporate, public and nonprofit sectors, I have coached clients from Nike, Intel, Xerox, Swedish Hospital and Pepperidge Farms among others. In additional to coaching, I also work as a facilitator for LIfe by Design NW, an organization that helps people 50 and over who are experiencing life and/or work transitions. I am also a board member for Jamii Moja, a nonprofit that supports grassroots efforts to improve living standards in tribal villages in Kenya. I have resided in Portland, OR since 1995 and been married for over 20 years to a physician who builds me vegetable beds in his “spare” time. I have two teenage daughters who don’t always appreciate being coached in household chores. I enjoy reading, dancing, laughing, public speaking, gardening and entertaining. I am energized by Pilates, Irish Breakfast tea, reruns of Star Trek (the original series, mind you) and nearly everything containing dark chocolate or Bill Murray. You will find me easy to talk to, strongly intuitive and down to earth. I greatly appreciate humor, honesty and the sincere desire for change. I also believe that great coaching isn’t about having the right answers; it’s about asking the right questions. Can’t wait to meet you! 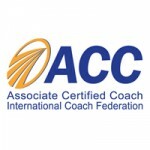 Associate Certified Coach (ACC) credential from the International Coach Federation (ICF). Graduate of the Core Essentials Program through Coach University, one of the oldest and most prestigious coaching programs in the United States certified by the International Coaching Federation (ICF). Member of the ICF and the Northwest Coaches Association.